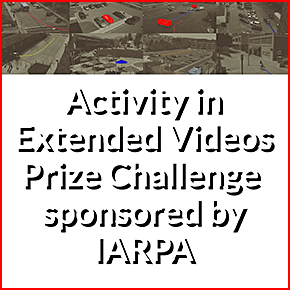 The Activity in Extended Videos Prize Challenge (ActEV-PC) seeks to encourage the development of robust automatic activity detection algorithms for an extended video. Challenge participants will develop activity detection and temporal localization algorithms for 18 activities that are to be found in extended videos. These videos contain significant spans without any activities and intervals with potentially multiple concurrent activities. ActEV-PC will contain two phases – an open leaderboard evaluation (Phase 1) and an independent ActEV prize evaluation (Phase 2). For independent ActEV prize evaluation, the challenge participants should submit their runnable system to NIST using the forthcoming Evaluation Container Submission Instructions. NIST will evaluate system performance on sequestered data using NIST hardware–details coming soon.